Do you represent a Hawaii State Government Agency and wondering how you should archive all your web and social media content? Are you trying to determine what you need to do both from a legal and a technical point of view? Here’s a guide to the different Laws and processes you should follow. What Laws govern Records Management in the State of Hawaii? The Hawaii Uniform Information Practices Act governs access to social media and public records while Hawaii Sunshine Law legislates the methods by which public meetings and associated records are monitored and conducted. and to balance the individual privacy interest and the public access interest, allowing access unless it would constitute a clearly unwarranted invasion of personal privacy. 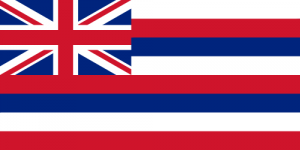 Do Hawaii Records Laws include Website and Social Media content? Within this legislation, “government record” means information maintained by an agency in written, auditory, visual,electronic, or another physical form. Your agency website must be retained in electronic format and remain usable, searchable, retrievable and authentic for the length of the designated retention period as established by the agency and/ or form of record in question and content placed on state agency social media should be moderated by an authorized, trained staff member. Your agency shall also compile a public report describing the records it routinely uses or maintains using forms prescribed by the office of information practices. How can we transfer website archives made with PageFreezer to the Hawaii Digital Archives? PageFreezer exports all data on request in the original file format including the required metadata. This data set can be transferred by FTP or by other means to the Hawaii State or Agency Digital Archives.